Brand new trailer shows off gameplay and items. Still haven't decided which is better, BFFs or death? Honey Tribe Studios' cooperative puzzle game BFF or Die edges closer to helping you make the decision! The game has been gathering momentum at trade shows and gaming events over the past two years, allowing a quick launch/approval on Steam's Greenlight platform. Dark mazes, here we come! BFF or Die puts up to four players in control of time traveling aliens lost on Earth in ancient Egyptian times. In order to escape these dark dungeons, they'll have to work together, a.k.a. cooperate! 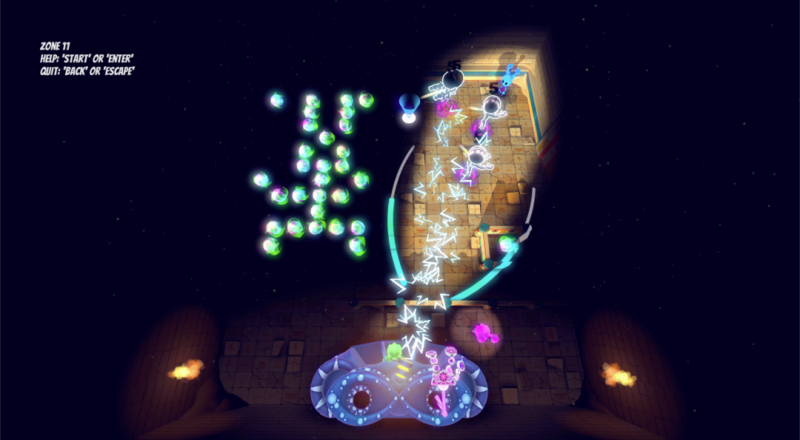 While some players start running through the mazes, others will provide light or distract enemies from their perches on the perimeter. If someone doesn't pull their weight, nobody's getting home. BFF or Die currently sports a single player mode and local co-op for 2-4 players. Online co-op is a planned feature for the future, along with more levels and even more visual upgrades. In the meantime, head over to the official site to grab the alpha demo and give the game a go! Page created in 0.9602 seconds.